Delicious, innovative, exotic and very attractive! this appetizer that I bring you in this opportunity, is full of contrast, surprise and flavor. 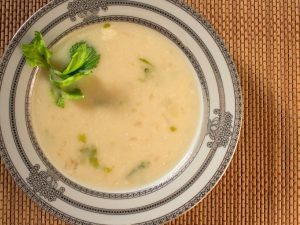 Telling them about this recipe excites me because every time I made it and of course, it tasted, I feel that there is nothing more delicious than that explosion of flavors on my palate. They are few ingredients but each of them gives the right touch to become a culinary show, so I'm sure they'll know what I mean, in the first bite they give their figs in a blanket and best of all to live the experience will not have to wait too long and much less will have to suffer in the search for the ingredients for its preparation because is very easy to get, we go for the best figs, be surprised and surprise your guests with this delight. Combine the vinegar with the sugar in a pan, cook over medium heat until it reduces by half. Reserve this mixture to cover the figs when serving. If at the time of using this mixture, it is very viscous, it can heat a little the reduction of balsamic vinegar. Therefore, it is better to leave it on the pan. Wash the figs and cut crosswise from the top to about half the fruit, carefully separate the sides creating a cavity. With a spoon, fill the cavity with the gorgonzola cheese. Cut the nuts into small pieces and place the nuts on the top of cheese, so that they are covered with nuts. 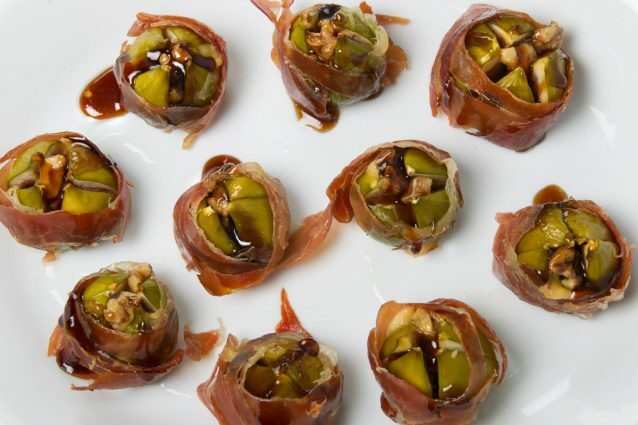 Close the figs again, wrap them with cured ham and fasten with the help of a toothpick. You can perform exactly the same preparation by substituting slices of cured ham for slices of bacon. Put the figs on a baking dish lightly covered with oil and bake the figs for about twenty minutes at 250 C. Serve immediately, cover with a small amount of the balsamic vinegar reduction and enjoy. If you do not have fresh figs you could use dried figs, in this case, you will bake the figs for a maximum of 10 minutes. Fig bruschette: a tasty and unique appetizer! Bear omelet: the perfect idea for kid's breakfast!